Statik Senkron Kompanzatör (STATCOM) iletim hatlarında reaktif güç kompanzasyonu ve güç sistemi kararlılığının artırılması için kullanılmaktadır. STATCOM dağıtım hatlarında kullanılırsa dağıtım STATCOM (DSTATCOM) olarak isimlendirilmektedir. Özel bir güç aygıtı olan DSTATCOM, dağıtım sistemlerinde güç kalitesi sorunlarını çözmek için kullanılan ortak kuplaj noktasına şönt bağlı bir gerilim kaynaklı eviricidir. Evirici STATCOM ve DSTATCOM’un temel yapı birimidir. Literatürde önerilen ve gerçek uygulamalarda kullanılan birçok evirici yapıları mevcuttur. Bu makalede, bugüne kadar STATCOM ve DSTATCOM’da kullanılan evirici yapıları incelenmektedir. Evirici yapılarının avantaj ve dezavantajları ortaya konulmaktadır. Ayrıca literatürden birçok örnek verilmektedir. Static Synchronous Compensator (STATCOM) is used for to improve the stability of power system and reactive power compensation of transmission lines. When a STATCOM used in a distribution system it is called Distribution STATCOM (DSTATCOM). As a custom power device DSTATCOM is a shunt connected voltage source inverter to a common coupling point in the distribution system and is used for to improve the power quality problems. The main structural unit of STATCOM and DSTATCOM are inverters. Many inverter topologies are used in the application and a lot of proposed inverter structures are available in the literature. In this study the inverter structures and topologies that are used in STATCOM and DSTATCOM up to now are investigated. The advantages and disadvantages of the inverter structures are presented. Also a lot of examples from the literature have been given. [Çevrimiçi]. Available: Schneider Electric,http://www.schneider-electric.com.tr/documents/solutions/EV-cozum-EECAT201101TR.pdf, [Erişildi: 24 Haziran 2015]. M. M. Ertay, Z. Aydoğmuş, “Güç Sistemlerinde FACTS Uygulamaları,” SDU International Techn. Science, 4(2), 2012, pp. 40-58. R. H. Muhammad, “Power Electronics Devices, Circuits and Applications,” Pearson, Nobel Yayınevi, Türkçe çeviri, 2014. H. Masdi, N. Mariun, S. Mahmud, A. Mohamed, S. Yusuf, “Design of a Prototype D-STATCOM for Voltage SagMitigation,” National Powerand Energy Conf., 2004, pp. 61-66. A. ÇETİN, M. ERMİŞ, “VSC Based D-STATCOM with Selective Harmonic Elimination,” IEEE Tran. on Industry Appl., 45(3), 2009, pp. 1000-1015. H. F. BİLGİN, M. ERMİŞ, “Reactive Power Compensation of Coal Mining Excavators By Using A New Generation STATCOM,” IEEE Trans. on Industrial Appl., 43(1), 2007, pp. 97-110. S. FILIZADEH, A. M. GOLE, “Harmonic performance analysis of an OPWM-controlled STATCOM in network appl.,” IEEE Tran. on Power Delivery, 20(2), 2005, pp. 1001-1008. 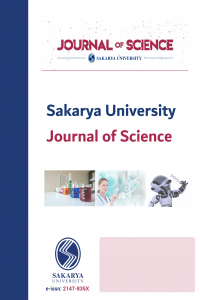 S. M. MUYEEN, H. M. HASANİEN, R. TAKAHASHİ, T. MURATA, J. TAMURA, “Integration of space vector pulse width modulation controlled STATCOM with wind farm connected to multi machine power system,” Journal of Renewable Sustainable Energy 1, 01310, 2009. L. RAN, L. HOLDSWORTH, G. A. PUTRUS, “Dynamic selective harmonic elimination of a three-level converter used for static var compensation,” IEEE Proc.-Generation, Tran. Distr., 149(1), 2002, pp. 83-89. M. SAEEDIFARD, H. NIKKHAJOEI, R. IRAVANI, “A Space Vector Modulated STATCOM Based on a Three-Level Neutral Point Clamped Converter,” IEEE Tran. On Power Delivery, 22(2), 2007, pp. 1029-1039. K. SUNDARARAJU, K. A. NİRMAL, “Control Analysis of STATCOM with Enhanced Methodsfor Compensation of Load Variation,” European Journal of Scientific Research, 53(4), 2011, pp. 590-597. H. MASDİ, N. MARİUN, S. M. BASHİ, A. MOHAMED, S. YUSUF, “Construction of a Prototype D-Statcom for Voltage Sag Mitigation,” European Journal of Scientific Research, 30(1), 2009, pp. 112-127. Y. LIANG, C. O. NWANKPA, “A New Type Of STATCOM Based On Cascading Voltage Source Inverters With Phase-Shifted Unipolar SPWM,” Industry Appl. Conf., Thirty-Third IAS Annual Meeting IEEE, vol.2, 1998, pp. 1447-1453. F. Z. PENG, J. S. LAI, J. W. MCKEEVER, J. VANCOEVERING, “A Multilevel Voltage-Source Inverter with Separate DC Sources for Static Var Generation,” IEEE Tran. On Industry Appl., 32(5), 1996, pp. 1130-1138. S. GUO, D. LIU, “Voltage Oriented Based Control Strategy for Cascaded PWM STATCOM,” Power and Energy Engineering Conf. (APPEEC), 2010 Asia-Pacific, 2010, pp. 1-4. Z. LI, J. WANG, F. ZHANG, B. LI, L. QI, P. XU, X. XIA, “Study of Harmonic Elimination in Switching Devices in STATCOM,” 1st. International Conf. on Electric Power Equipment-Switching Techn.-Xi’an-China, 2011., pp. 224-228. S. ZHONGLAI, Z. GUANG, Z. JINGGANG, “Research on Optimization Carrier Phase-Shifted SPWM of Cascaded STATCOM,” Artificial Intelligence, Management Scienceand Electr. Commerce (AIMSEC), 2nd International Conf. on, 2011, p. 4252-4255. T. S. YEH, H. F. JHU, H. W. SUNG, “Modelingand Control of Three-Phase Multilevel Inverter-Based STATCOM,” 2nd IEEE International Symp. on Power Electr. for Distributed Generation Systems, 2010, pp. 406-411. D. PATEL, R. SARAVANA KUMAR, K. K. RAY, R. RAMESH, “Design and Implementation of Three Level CHB Inverter with Phase Shifted SPWM using TMS320F24PQ,” Power Electr. (IICPE), India International Conf. on, 2011, pp. 1-6. X. XU, Y. ZOU, K. DING, F. LIU, “A STATCOM Based on Cascade Multilevel Inverter with Phase-shift SPWM,” lntematlonal Conf.on Power System Techn. - POWERCON Singapore, 2004, pp. 145-149. X. XU, Y. ZOU, K. DING, F. LIU, “Cascade multilevel inverter with Phase-Shift SPWM and its application in STATCOM,” The 30th Annual Conf.of the IEEE Industrial Elect. Society, Busan-Korea, 2004, pp. 1139-1143. K. H. LAW, S. A. MOHAMED, D. GEORGIOS, S. KONSTANTINOU, V. G. Agelidis, “SHE-PWM Cascaded Multilevel Converter with Adjustable DC Sources Control for STATCOM Appl.,” Power Elect. Motion Control Conf. (IPEMC), 7th International, 2012, pp. 330-334. L. GONG, Y. KANG, J. CHEN, S. HE, “Phase-Shifted Space Vector PWM and On-time Correction DC Voltage Balancing Scheme for Cascaded H-Bridge STATCOM,” Power Electr. ECCE Asia (ICPE & ECCE), IEEE 8th International Conf. on, 2011, pp. 2741-2748. C. Xu, K. Dai, Y. Kang , C. Liu, “Characteristic Analysis and Experimental Verification of a Novel Capacitor Voltage Control Strategy for Three-Phase MMC-DSTATCOM,” Applied Power Elect. Conf. and Exposition (APEC), 2015, pp. 1528-1533. H. P. Mohammadi, M. T. Bina, “A Transformerless Medium-Voltage STATCOM Topology Based on Extended Modular Multilevel Converters Power Elect.,” IEEE Tran. on, 26(5), 2011, pp. 1534-1545. M. Pereira, D. Retzmann, J. Lottes, M. Wiesinger, G. Wong, “SVC PLUS: An MMC STATCOM for Network,”and Grid Access Appl., IEEE Trondheim PowerTech, 2011, pp. 1-5. C. Wang, B. T. Ooi, “Elimination of low frequency harmonics of modular multilevel converters (MMC): Implications to MMC HVDC and STATCOM,” Industrial Elect. Society, IECON 2013 - 39th Annual Conf. of the IEEE, 2013, pp. 730 – 735. M. Nieves, J. M. Maza, J. M. Mauricio, R. Teodorescu, M. Bongiorno, P. Rodriguez, “Enhanced control strategy for MMC-based STATCOM for unbalanced load compensation,” Power Electr. Appl. (EPE'14-ECCE Europe), 16th European Conf., 2014, pp. 1-10. X. Yang, J. Li, W. Fan, X. Wang, T. Q. Zheng, “Research on modular multilevel converter based STATCOM, Industrial Elect. Appl. (ICIEA), 6th IEEE Conf., 2011, pp. 2569 – 2574. J. Zhu, L. Li, M. Pan, “Study of a novel STATCOM based on modular multilevel inverter, IECON 2012 - 38th Annual Conf. on IEEE Industrial Elect. Society, 2012, pp. 1428 – 1432. H. M. Pirouz, M. T. Bina, “Extended modular multilevel converters suitable for medium-voltage and large-current STATCOM appl.,” IPEC 2010 Conf. Proc., 2010, pp. 487 – 492. R. ÇÖTELİ, Z. AYDOĞMUŞ, “DGM-Statcom ile Reaktif Güç Kompanzasyonu,” Politeknik Dergisi Journal of Polytechnic, 10(2), 2007, pp.123-128. E. DENIZ, “Beş Seviyeli İnverterlerin SDGM İle Kontrolü,” Yüksek Lisans Tezi, Fırat Üniversitesi Elektrik Elektronik Müh., 2005. R. Marquardt, A. Lesnicar and J. Hildinger, “An innovative modular multilevel converter topology suitable for a wide power range,” IEEE 2003 PowerTech Conf., Bologna, Italy, 2003, pp. 23-26. Q. Yu, P. Li, W. Liu, X. Xie, “Overview of STATCOM Techn.,” 2004 IEEE International Conf.on Electric Utility Deregulation, Restructuringand Power Techn. (DRPT2004), Vol.2, April 2004, pp. 647 - 652. O. Ojo, “The Generalized Discontinuous PWM Scheme for Three-Phase Voltage Source Inverters”, IEEE Tran. On Industrial Electr., 51(6), December 2004. A. M. Vural, K. Ç. Bayındır, M. Tümay, “12 Darbeli bir STATCOM için Denetleyici ve Filtre Parametrelerinin Simplex Yöntemi ile Optimizasyonu, Elektrik-Elektronik-Bilgisayar Ve Biyomedikal Müh. 13. Ulusal Kongresi Ve Fuarı, 2009. H. F. Bilgin, M. Ermis, “Design and Implementation of a Current-Source Converter for Use in Industry Appl. of D-STATCOM,” IEEE Tran. on Power Elect., 25(8), Ocak 2010, pp. 1943-1957. H. F. Bilgin, M. Ermis, K. N. Kose, A. Cetin, I. Cadirci, A. Acik, T. Demirci, A. Terciyanli, C. Kocak, M. Yorukoglu, “Reactive-Power Compensation of Coal Mining Excavators by Using a New-Generation STATCOM,” IEEE Tran.on Industry, 43(1), Ocak-Şubat 2007, pp. 97-110. A. Çetin, M. Ermiş, “Reactive Power Compensation of Coal Conveyor Belt Drivesby Using D-STATCOMs,” Industry Appl. Conf., 42nd IAS Annual Meeting, Conf. Record of the 2007 IEEE, 23-27 Sept. 2007, pp. 1731-1740. W. N. Chang, K. D. Yeh, “Design of D-STATCOM for Fast Load Compensation of Unbalanced Distribution Systems,” IEEE, PEDS, 2008, pp. 801-806. S. S. Gurav, H. T. Jadhav, “Application of D-STATCOM for load compensation with non-stiff sources,”International Conf for Convergence of Technology, 2014, pp.1-5. G. Escobar, A. M. Stankovic, P. Mattavelli, “An Adaptive Controller in Stationary Reference Framefor D-STATCOM in Unbalanced Operation,” IEEE Tran. On Industrial Elect., 51(2), April 2004, pp.401-409. B. S. Chen, Y. Y. Hsu, “A Minimal Harmonic Controller for a STATCOM,” IEEE TRAN. ON INDUSTRIAL ELECT., 55(2), FEBRUARY 2008, pp. 655-664. B. Singh, S. S. Murthy, S. Gupta, “STATCOM-Based Voltage Regulator for Self-Excited Induction Generator Feeding Nonlinear Loads,” IEEE TRAN. ON INDUSTRIAL ELECT., 53(5), OCTOBER 2006, pp. 1437-1452. A. Rahmati, A. Abrishamifar, E. Abiri, “SENSORLESS DIRECT POWER CONTROL FOR A DSTATCOM” Universities Power Engineering Conf., 2006, UPEC '06, Proceedings of the 41st International, 2006, pp.1001-1005. V. George, M. K. Mishra, S. Sridharan, “A NOVEL CONSTANT SWITCHING FREQUENCY STRATEGY FOR A THREE-LEG DSTATCOM,” Electricaland Computer Engineering, CCECE, 2008, pp. 681-684. G. Vincent, M. K. Mishra and K. Rao, “An Improved Switching Strategyfora Three-Phase Three-Leg DSTATCOM,” Industrial Elect. Appl., 2008, ICIEA 2008, 3rd IEEE Conf., 2008, pp. 1169-1173. R. K. Varma, S. S. Rangarajan, I. Axente, V. Sharma, “Novel application of a PV Solar Plant as STATCOM during Night and Day in a Distribution Utility,” Power Systems Conf. and Exposition (PSCE), 2011, pp. 1-8. V. Purushothaman, B. K. Mathew, “Voltage Sag Correction in Distribution System Using DSTATCOM with PI and Hysteresis Controllers,” International Conf. on Magnetics, Machines&Drives (AICERA-2014 iCMMD) 2014, pp. 1-6. P. Chaudhari et. Al, “Design and Implementation of STATCOM for Reactive Power Compensation and Voltage Fluctuation Mitigation in Microgrid,” Signal Processing, Informatics, Communication and Energy Systems (SPICES), IEEE International Conf., 2015, pp. 1-5. S. TUNCER, “Çok Seviyeli İnverterler Ve Dgm Teknikleri, Doğu Anadolu Bölgesi Araştırmaları, 2004, pp.18-24. [Çevrimiçi]. Available:Electrical Engineering Community,http://engineering.electricalequipment.org/electrical distribution/diode clamped multilevel inverters.html, [Erişildi: 13Eylül 2015]. S. Ozdemir, E. Ozdemir, L. M. Tolbert, S. Khomfoi, “Elimination of Harmonics in a Five-Level Diode-Clamped Multilevel Inverter Using Fundamental Modulation,” Power Elect. and Drive Systems, PEDS '07, 7th International Conf. on Nov. 2007, pp. 850-854. M.Kedareswari, “Reduction of THD in Diode Clamped Multilevel Inverter employing SPWM technique,” International Journal of Scientific and Research Publications, 3(6), June 2013, pp. 1-4. J. Deepthi, S. N. Saxena, “Study of Variation of THD in a Diode Clamped Multilevel Inverter with respect to Modulation Index and Control Strategy,” 2nd International Conf. and workshop on Emerging Trends in Techn. (ICWET) 2011, pp. 37-42. M. H. Rashid, Power Electronics Handbook third edition, Elsevier Inc., 13 Oca 2011, pp. 459. Y. Chen, B. Mwinyiwiwa, Z. Wolanski, Z. B. T. Ooi, “Regulating And Equalizing Dc Capacitance Voltages In Multilevel Statcom,” IEEE Tran.on Power Delivery, 12(2), April 1997, pp. 901-907. Y. Cheng, M. L. Crow, “Diode-Clamped Multi-level Inverter For the StatCom/BESS,” Power Engineering Society Winter Meeting, vol.1, 2002, pp. 470-475. K. K. Mahajmra, A. Ghosh and S. R. Doradla, “Simplified model for control design of STATCOM using three-level inverter,” TENCON '98, 1998 IEEE Region 10 International Conf. on Global Connectivity in Energy, Computer, Communication and Control, Vol.2, 1998, pp. 536-539. Q. Qi, C. Yu, C. K. Wai and Y. Ni, “Modeling and simulation of a STATCOM system based on 3-level NPC inverter using dynamic phasors,” Power Engineering Society General Meeting IEEE, Vol.2, 2004, pp. 1559-1564. C. Sharmeela, G. Uma, M. R. Mohan and K. Karthikeyan, “Multi-level Distribution STATCOM forreducing the effect of Voltage Sag and Swell” 2004 Intemational Conf. on Power System Techn.,2004, pp. 310. H. K. Chiang, B. R. Lin, K. T. Yang and C. C. Yang, “Analysis and implementation of a NPC-based DSTATCOM under the abnormal voltage conditions,” Industrial Techn. 2005, ICIT 2005, IEEE International Conf. on 2005, pp. 665 – 670. F. A. Okou, D. Dupuis, O. Akhrif, M. Tarbouchi, “A robust nonlinear controller for a STATCOM based on a 3-phase neutral point clamped converter ,” Industrial Electr., IECON '09, 35th Annual Conf. of IEEE, 2009, pp. 3623 – 3630. T. A. Meynard, H. Foch, “Multi-Level Conversion: High Voltage Choppers and Voltage-Source Inverters,” IEEE Power Elect. Specialists Conf., 1992, pp. 397-403. A. Nabae, I. Takahashi, H. Akagi, “A New Neutral-Point- Clamped PWM Inverter,” IEEE Tran. On Industry Appl., 1981, pp. 518-523. A. NORDVALL, “Multilevel Inverter Topology Survey,” Master of Science Thesis in Electric Power Engineering, Chalmers University Of Techn., 2011, pp.17. S. Sirisukprasert, "The Modelling and Control A Cascaded Multilevel Converter Based STATCOM," Thesis of Doctor of Philosophy, Virginia Polytechnic Institute and State University, USA. 2004. M. A. Anadol, “Laboratuar Ölçekli Bir Karma İletim Hattında Statkom Kullanılarak Sistem Dinamik ve Sürekli Hal Davranışlarının İncelenmesi,” Doktora Tezi, Selçuk Üniversitesi Fen Bilimleri Enst., 2012. A. KAZDALOĞLU, B. ÇAKIR, M. DEMİR, A. GÜNEROĞLU, E. ÖZDEMİR, M. UÇAR, “Fotovoltaik Elektrik Üretim Sistemlerinde Kullanılan Çok Seviyeli Eviricilerin İncelenmesi,” 4. Enerji verimliliği ve kalitesi semp., KOCAELİ, 2011, pp. 48-53. A. Shukla, A. Ghosh, A. Joshi, “Static shunt and series compensations of an SMIB system using flying capacitor multilevel inverter,” Power Delivery, IEEE Tran.,20(4), pp. 2613-2622. V. K. Rai, M. Gaharwar, R. Kumar, S. Saraswat, “Synchronous Voltage Source Inverter Using FCMLI,” Global Journals Inc., 11(2), 2011, pp.11. K. Viswanathan, K.Madumathi, “A Study of Five-Level FCMLI Based STATCOM,” International Journal of Research in Advent Techn., 2(3), 2014, pp. 367-374. A. Chen ve X. He, “Research on Hybrid-Clamped Multilevel- Inverter Topologies,” IEEE Tran. on Ind. Elec., 53(6), 2006, pp. 1898-1907. T. An, M. T. Powell, H. L. Thanawala, N. Jenkins, "Assesment of Two Different STATCOM Configurations for FACTS Application in Power Systems," IEEE International Conf. on Power System Techn., POWERCON '98, Beijing, China, Vol. 1, 1998, pp. 307-312. Y. Qingguang, L. Pei, L. Wenhua, X. Xiaorong, "Overview of STATCOM Technologies," IEEE International Conf. on Electric Utility Deregulation, Restructuring and Power Techn., Vol. 2, 2004, pp. 647-652. E. H. Watanabe, M. Aredes, P. G. Barbosa, Jr. G. Santos, J. K. A. Lima, J. K. S. Dias, "Power Electronics Handbook, Second Edition: Devices, Circuits and Applications", Chapter 31 : Flexible AC Tran.Systems, M. H. Rashid, Academic Press An imprint of Elsevier Inc. 2006, pp. 783 - 808. M. Deniz, B. Gültekin, C. O. Gercek, T. Atalik, I. Cadirci, M. Ermis, “A New DC Voltage Balancing Method for Cascaded Multilevel Inverter Based STATCOM, ACEMP'07 International Aegean Conf. on Electrical Machines and Power Elect., Bodrum, 10-12 September2007, pp. 532-535. F. Z. Peng, J. S. Lai, J. W. McKeever and J. A. V. Coevering, “Multilevel Voltage-Source Inverter with Separate DC Sources for Static Var Generation,” IAS '95 Thirtieth IAS Annual Meeting, Orlando, 8-12 October1995, pp. 2541-2548. L. K. Haw, M. S. A. Dahidah, H. A. F. Almurib, “A New Reactive Current Reference Algorithm for the STATCOM System Based on Cascaded Multilevel Inverters,” IEEE Tran. On Power Elect., 30(7), JULY 2015, pp. 3577-3588. Z. Melhem, “Electricity Transmission, Distribution and Storage Systems,” Woodhead Publishing, 1st Edition, October 2013, pp. 157. R. Marquardt and A. Lesnicar, “A new modular voltage source inverter topology,” in Conf. Rec. Eur. Conf. Power Elect. Appl., 2003, pp. 1-10. A. Lesnicar and R. Marquardt, “An innovative modular multilevel converter topology suitable for a wide power range,” in Proc. IEEE Power ech Conf., 2003, pp. 6. B. B. Thool, S. P. Awate, “Modular Multilevel Converter Based Statcom,” SSRG International Journal of Electrical and Electr. Engineering (SSRG-IJEEE), 2(1) , 2015, pp. 15-18. B. ÇİFTÇİ, F. ERTÜRK, A. M. HAVA, “Modüler Çok Seviyeli Dönüştürücülerde Taşıyıcı Temelli DGM ile Anahtarlama ve Kondansatör Gerilimi Dengeleme Yöntemleri,” Eleco 2014 Elektrik-Elektronik-Bilgisayar ve Biyomedikal Müh. Semp., 27-29 Kasım 2014, pp. 250-256. P. Asimakopoulos, “Design and Control of Modular Multilevel Converter in an Active Front End Appl.,” Master of Science Thesis in Electric Power Engineering, Chalmers University Of Technology, 2013, pp. 2-3. G. P. A. MIET, O. A. L. MIEEE, G. B. MIEEE, J. M. SMIEEE, “Transformerless STATCOM based on a five-level modular multilevel converter,” Power Elect. and Appl. EPE '09, 13th European Conf. on 2009, pp.1-10. J. Zhu, L. Li, M. Pan, “Study of a novel STATCOM based on modular multilevel inverter,” IECON 2012 - 38th Annual Conf. on IEEE Industrial Electr. Society, 25-28 Oct. 2012, pp. 1428-1432. P. Sotoodeh and R. D. Miller, “A New Single-Phase Inverter with D-STATCOM Capability for Grid-connected Small Wind Turbines,” Power and Energy Conf. at Illinois (PECI), IEEE 22-23 Feb. 2013, pp. 175-179. K. Damodara, N. U. Aheshwar, K. K. Kumar, “MMC and EMMC based STATCOM: A Comparative Study,” International Journal of Computer Applications, 73(12), July 2013, pp. 38-45. P. A. Dahono, H. N. Buwana, R. Iswara, “A Control Method for Static VAR Compensator Based On Modular Multilevel Inverter,” School of Electrical Engineering and Informatics, Institute of Technology Bandung, 2009, pp:1-8.